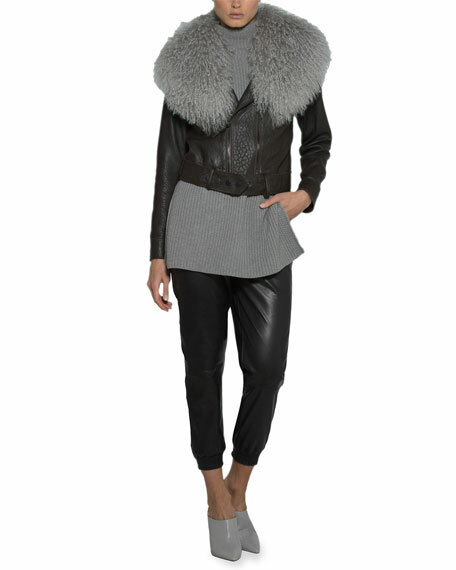 Eleventy leather moto jacket in sheepskin leather. 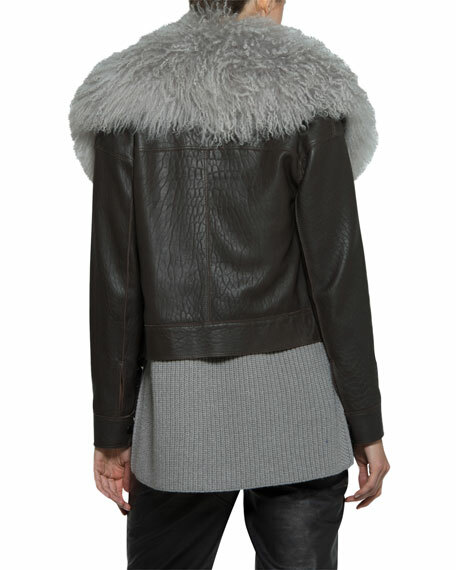 Dyed lamb shearling (China) fur collar. For in-store inquiries, use sku #2695504.